Resilience is the process of adapting well in the face of adversity, trauma, tragedy or significant sources of stress, such as family and relationship problems, serious health issues, workplace tension or financial stress. It means ‘bouncing back’ from difficult experiences. 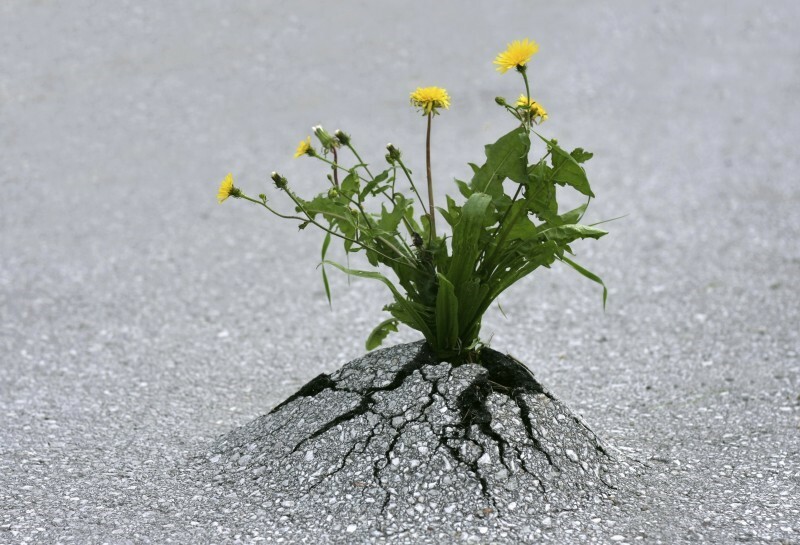 Resilience is what gives people the psychological strength to cope with stress and disaster. Resilient individuals are better able to handle adversity and move on after a catastrophe. Dealing with change or loss is an inevitable part of life. How we handle these situations can play a significant role in not only the outcome but also the long-term psychological effects we experience. Have you ever wondered why some people seem to remain calm in the face of adversity, while others appear to fall apart? People who remain composed have what psychologists call resilience, or an ability to cope with problems and setbacks. Resilient people are able to use their strengths and see each situation for what it really is (not catastrophise it) in order to cope and recover from problems and challenges. These problems may include job loss, divorce/separation from a partner, severe illness, financial problems, natural disasters or the death of a loved one. Resilience does not eliminate stress, trauma or tragedy. People who are resilient understand that things don’t always go well and that sometimes life is difficult. Resilient people still experience the emotional pain, grief and sense of loss that come after a tragedy, but their outlook allows them to work through such feelings and cope. They may even rationalise it, telling themselves that ‘everything happens for a reason’ and move on. Even in the face of horrible events that seem completely unimaginable, resilient people can possess the strength not just to survive but also to thrive. Looking back on your life, you will actually be thankful that some things did not work out the way you once wanted them to. Have you heard the saying ‘This too shall pass’? Just like all of the stressful, traumatic experiences you have already been through and survived, you will come out on the other side of what you’re currently going through, not necessarily the same but stronger! Mentally strong people tend to have the support of family and friends who are there for them in difficult times. Good relationships with close family members, friends or others are important. Accepting help and support from those who care about you and will listen to you can strengthen your resilience. You are unable to change the fact that horrible and stressful events happen, but you can change how you interpret and respond to these events. Try looking beyond the present situation to how future circumstances may be a little better. Hard times bring new opportunities… so look for the opportunities. Change is unavoidable. Accepting circumstances that cannot be changed can help you focus on circumstances that are within your control. Establish some realistic goals and pursue them. Do something regularly, even if it seems like a small accomplishment, which will enable you to move toward your goals. Focus on tasks that are achievable and you will feel more confident in the pursuit of your goal. Many people who have experienced tragedy and hardship have, as a result, better relationships, a greater sense of strength, an increased sense of self-worth, a more developed spirituality, a determination to prevent others from having the same horrible experience and a heightened appreciation for life. View yourself positively and develop confidence in your ability to solve problems and trust your instincts – this will help build resilience too. Don’t blow things out of proportion; instead, keep things in perspective. Even when facing very painful events, try to consider the ‘bigger picture’ and maintain a long-term perspective. Having an optimistic outlook enables you to expect that good things will happen in your life. Don’t focus on your fears, but rather visualize what you want in life, really concentrate on it while having a feeling of gratitude, and think positively in order to attract it. Look after yourself and get involved in activities that you enjoy and find relaxing as this will help prepare your mind and body to be able to deal with situations that require resilience. Meditation and spiritual practices help some people build connections and restore hope. The key is to identify ways that are likely to work well for you as part of your own personal strategy for developing resilience. Resilience involves maintaining flexibility and balance in your life as you deal with stressful circumstances and traumatic events. When something tragic happens, try to make your response about ‘post-traumatic growth ‘rather than ‘post-traumatic stress’. In other words, in the short term, experience what you are going through, accept it for what it is and ride the wave of emotions, but in the long term, view it as a growth exercise (in developing and learning from the experience) rather than as traumatic stress that will continue to make you suffer as you continue to relive what happened. Promote thinking within yourself of ‘mindful flexibility’, where you are more flexible to changing your thoughts and feelings to promote well-being and resilience, through the ability to cope with anything that life can throw at you. Looking for inspiration or to raise your Spiritual and Emotional IQ? Wanting to replace your Restless Mind with Peace of Mind? Go to http://www.borntoprosper.com/live-stream/?ap_id=nikkicanhelp and listen to a live stream.